Thursday 7th March 2013 – 3.25pm – John Hawker. 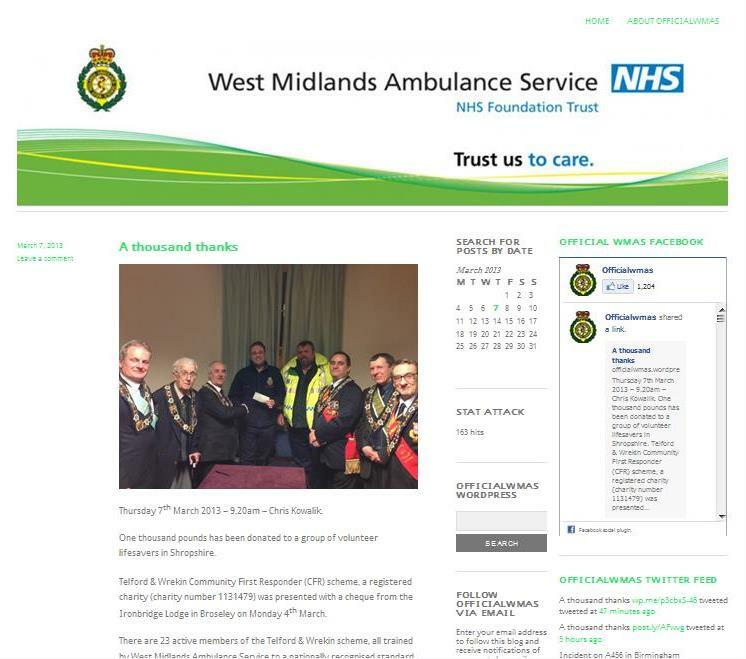 Due to the imminent closure of the posterous.com service, West Midlands Ambulance Service will continue to provide all of its latest news to the media and public by switching to the ‘wordpress’ service. Log on to www.officialwmas.wordpress.com to access all the latest Trust news and information. All Trust press releases will be uploaded onto the site, with the ability to subscribe to automatic updates via email, and also share news via social media. We hope the change goes smoothly and does not affect the accessibility of the information and news that we send out.